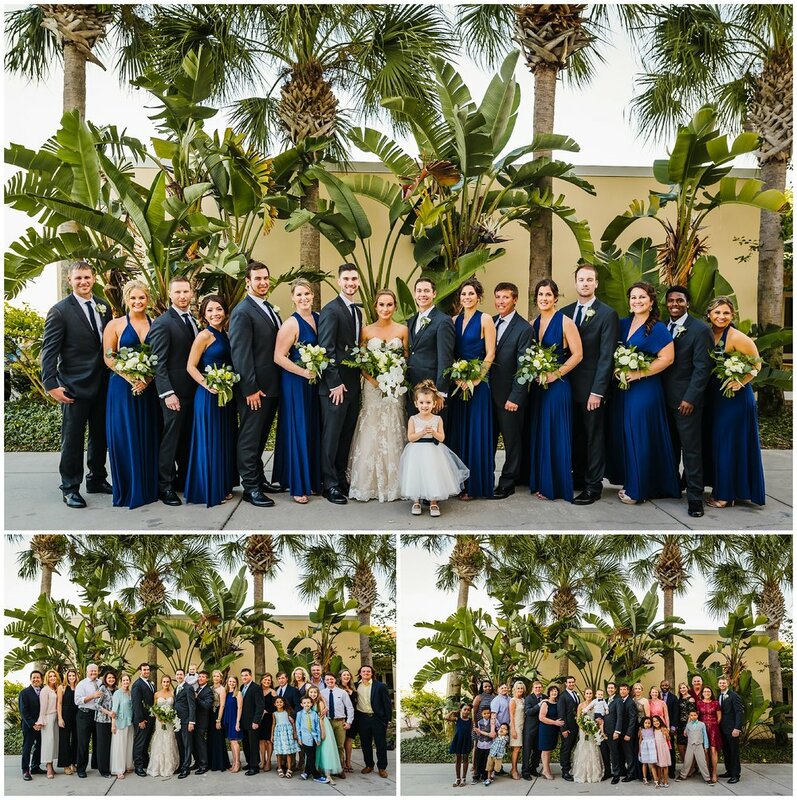 OooOOO feast your eyes on this dreamy St. Pete wedding! The fabulous Brooke of RSBP Events pulled this stunning day off for her near and dear friend's daughter, Katherine. She was such a stunning bride! I mean check out that dress guys! WOW, can you say train goals? 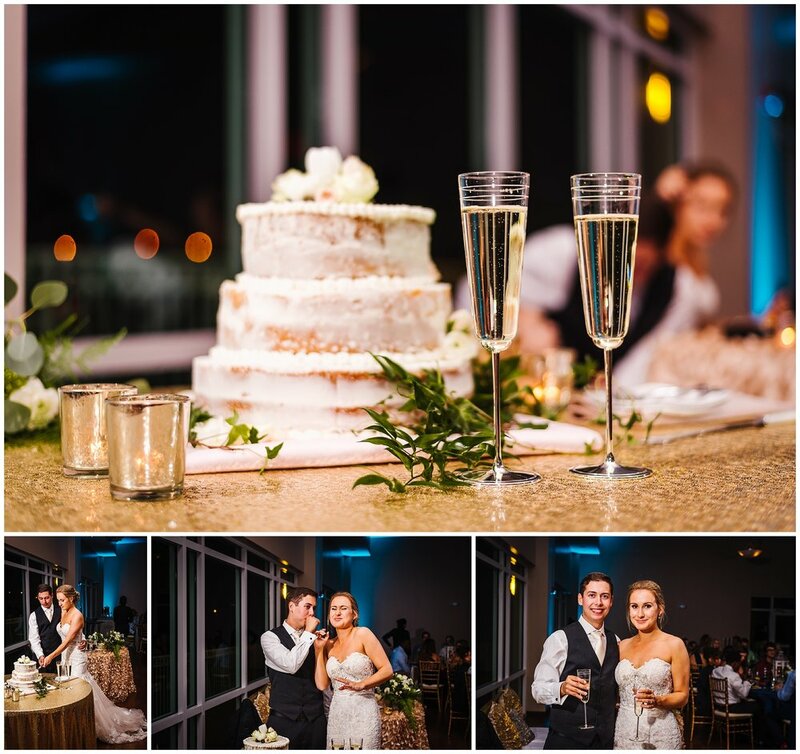 It was a whirlwind day between a private home on the intercostal, to first looks at the Don Cesar, a waterfront ceremony, and a sophisticated reception. There were so many details to love and lots and lots of emotions! 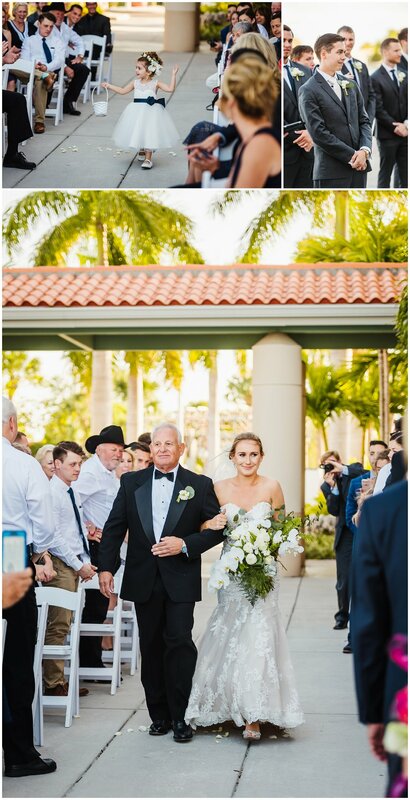 The first look with dad and her groom Heath were so sweet, they even included a moment of prayer with their good friend who also officiated their ceremony (his first!). I especially loved their little boy who "stood" up with Heath's best man father at the ceremony. He was so stinking cute! He tugged off boutonnières and was massively entertained by all of the love and attention he soaked up. Belle Fleur showered the day with amazing florals! 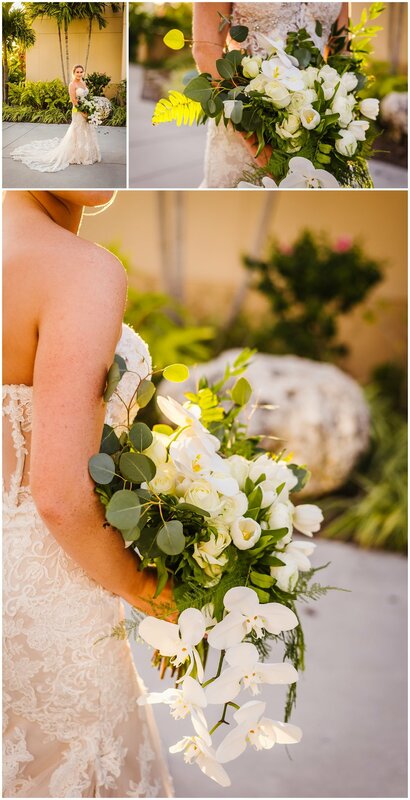 The orchids that poured out of the brides bouquet were so stunning and I especially loved all of the vines and greenery at the reception. 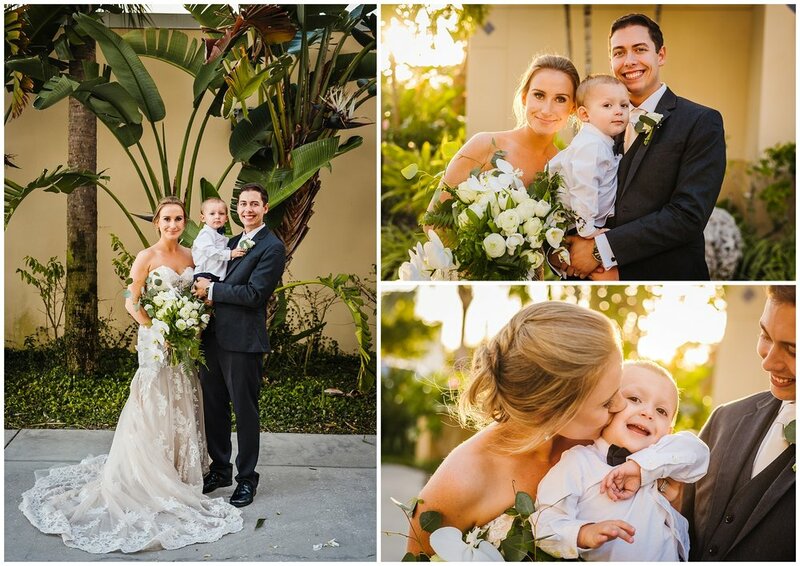 I know it was the wedding of their dreams and it was an honor to be a part of it! Please enjoy these highlights!